Home for many people who have a different meaning. But for this vacation home. 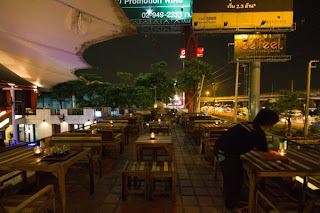 Is a second home for people looking for a place to rest a drink on the evening after work. Can sit the wind chill. Talk Talk Moyse with friends. Dr. soothing sound because it's fresh. Enjoy delicious food and a bull dust. BBQ Pork Fried Rice boiled spicy lemon guarantee that this will be a night of enjoying your night, of course. See more details at home. Ekamai - Ram here. 2. Khattab Rating and Ersetaragks Coco Bar Ekamai - Ram. Come back bigger than ever with Coco Bar Karting and restaurant with atmosphere focused chill music mixed with a cozy atmosphere than ever before. And new services kart speed lovers. Who do I contact the shop. And what the hey gang, here they have karaoke to support another. 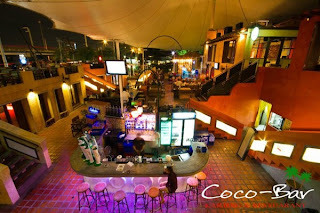 Proved by Zab's Coco Bar at Ramindra - identical to the German brewery is not difficult. Tawandang bit. And then the friend is to chill the Justices do. 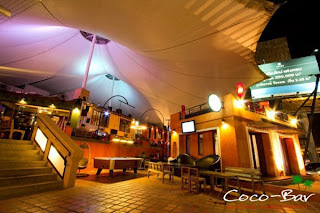 View more Coco Bar Khattab Rating and Ersetaragks here. 3. Cuppi Coffy Ekamai - Ram. 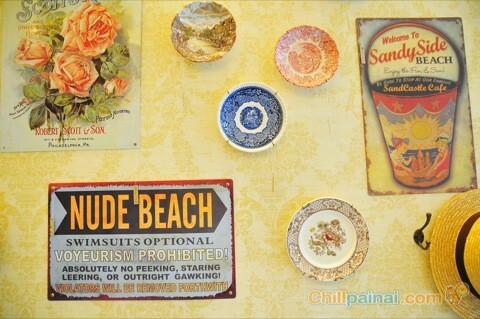 Vintage style cafe. 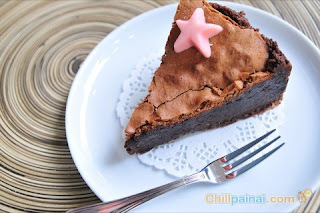 Looks like a warm cup of hot coffee sitting in a storybook cake, soft chewy taste. I will read a book or just sit and watch the play of the interior, it would then Linda Perry. Oh, if you like. I was asked to try a piece of decoration at the shop to take home with me to appreciate. View more details Cuppi Coffy Ekamai - Ram here. 4 retro egg noodles. Ekamai - Ram. Harden soft egg noodles and crunchy bite. Soup fragrant delicious. Fill peppers Thailand Land a little style to the classic equation. Noodle retro. 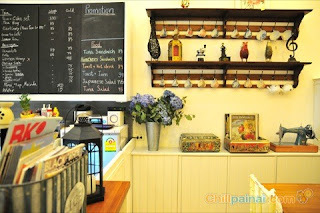 Here are decorated like the old retro chic cozy chill plus serving dishes like fried rice fish sauce fried chicken wings or order a new garden was pleasant to chew it. View more details. Retro egg noodles. Ekamai - Ram here. 5. 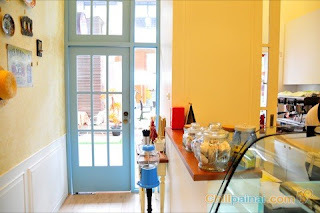 Coffee Gallery Ekamai - Ram. Building a cool warm earth tones. Continental interior space an open feel comfortable. If you choose to sit outside and have a large tree near the icy clear water flow. This coffee blend your own if you're looking for seats chill. I have to try to look. View more Coffee Gallery Ekamai - Ram here. 6. 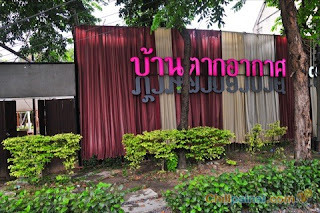 Karaoke City Ekamai - Ram. Music City is open for more than four years in an area of ​​over 3 acres on Intra Expressway road - probably the Bhangra. The concept is Restaunang & Entertainment. Our focus is for you to enjoy Desing of each city is unique worldwide, with more than 80 rooms, karaoke rooms, many sizes to choose an elegant and unique. Able to meet the diverse needs of its customers. To release your music in a fun design that you'll get endless. View more details Karaoke City Ekamai - Ram here. 7. Waterside Resort Restaurant Ekamai - Ram. 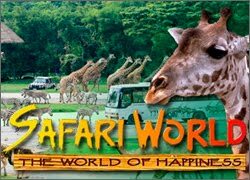 I dreamed of singing in a resort atmosphere. Pollution and traffic jam, I do not have irritable bowel punt (pontoon). went far to downtown Kan Yon. I will take them to fold a frog Oh .. the place to chill out, cool as "Waterside". Restaurant Style Contemporary Resort featured with its location in the middle of the water surrounding the area of nearly 15 acres plus. 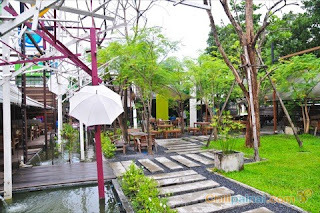 Choose from 2 atmosphere both indoor and outdoor terrace extending over the water decorated with lanterns, tall warm comfort. All angles for hilarious party with friends. 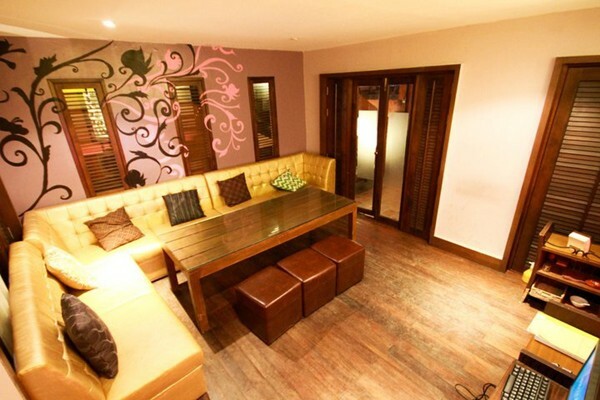 And a romantic private suites for couples who want to come. I realize that this single projection T ^ T to book size large but adjacent waterfront. What is hidden inside the Plasma TV, 50 inch JBL sound system and music. ensure that updates every album. Key with Promotion 30% every Sunday - Wednesday.Karaoke for especially this kind of great to tell. It has spread across the fun! View more details Waterside Resort Restaurant Ekamai - Ram here. 8th. stores Ka.ta. Moss Ekamai - Ram. Ka.ta. Mall shop owners that definition. Greater the field I just felt that the name itself has backfired. 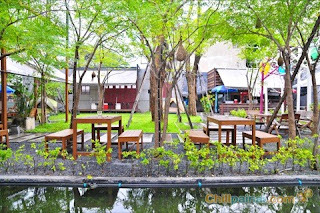 Back to the past 20 years, has stepped into the chill atmosphere in the restaurant is decorated with vintage furniture retro sofas combined with bold, colorful lights chrome old. Decorated with antiques and collectibles from a private owner. It will do this perfectly seasoned veteran. The food will taste Live it. The atmosphere is amazing. During the evening there will be live music and vice versa. Seen this already. TEDs and Twitter Kentucky. Try not to touch. Central Plains Region. I love it here. View more Mall Ka.ta. Ekamai - Ram here. 9th. Delirium Pub & Restaurant open daily Ekamai - Ram. Rave store on the strength of the neighborhood along side an identical Ram - Indra. Here is a highlight of the comforts of home. A corner to sit in a variety of angles, whether in-store. Terrell left outside.Or poolside. 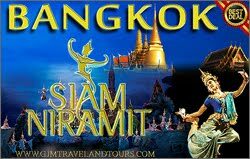 The songs are each night three bands is at 2 pm 4 pm and midnight with music is the music Thailand International pour call it focused Chill known that if you were 30 early music, you sing it. out it. As for the food, the taste is quite good. 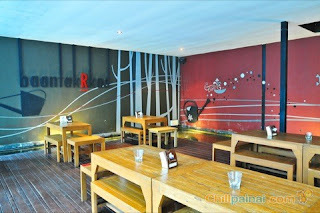 This is a place to sit and chat with music and taste the delicious food after work. View more details Delirium Pub & Restaurant open daily Ekamai - Ram here. 10th. Definitely angry Ekamai - Ram. White Hall clean. Looks like back to the reign of the fifth set featured in the green park. This is a cozy restaurant. We definitely named Thorn. Government ownership is that you definitely like cooking. The chicken recipe is Black Paris I like to make friends, you get angry, you definitely have the intention to open a restaurant in order to relax and savor the atmosphere. In addition, we also arrange a small party in-store engagement that many couples, especially couples are drawn to work here because of the warm and romantic atmosphere of the store. View more details definitely angry. Ekamai - Ram here.